Over the years, we’ve tackled several small projects in our little 1947-built bungalow. The one project that we haven’t started yet is a major addition and renovation. While we continue to consider when or if that will happen, we decided to minimally update the kitchen by replacing counter tops, the sink, and faucet. 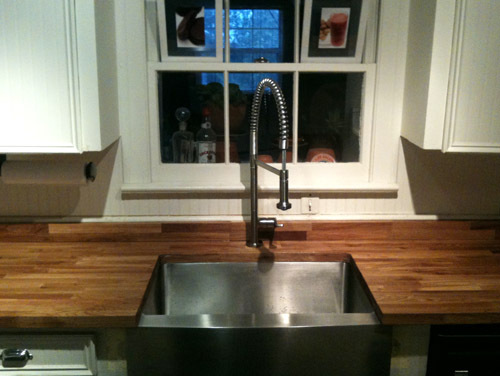 Butcher block counter tops in oak were used, a stainless steel, undermount, apron-front sink, and a single-mount sprayer faucet were chosen. 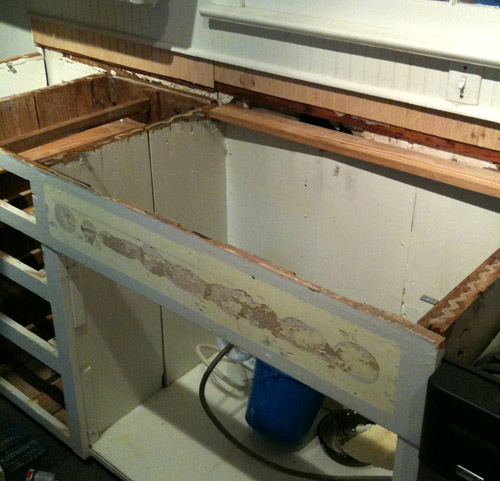 If the larger addition and renovation project comes to pass, we’ll re-use the sink and faucet and cut down the butcher block counter for other uses. The cabinets are original to the house, but the cabinet doors were re-faced at some point. We chose to leave the cabinets as they are and replace only the counter surface, the sink, and the faucet. 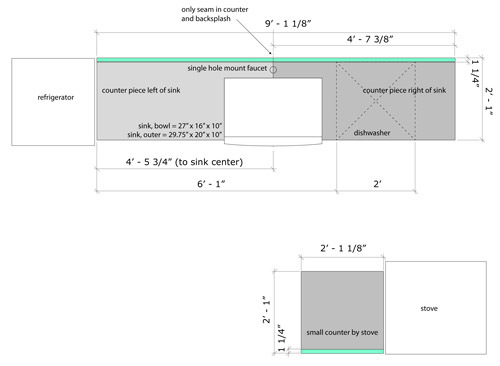 Due to the available size of the butcher block counter pieces, a seam in the counter was necessary. We placed the seam at the center of the sink where it would be partially covered by the faucet. An extra piece of oak counter was cut for backsplash pieces, and the seam was aligned with that of the counter. After the wood was sanded, the seam was almost invisible. 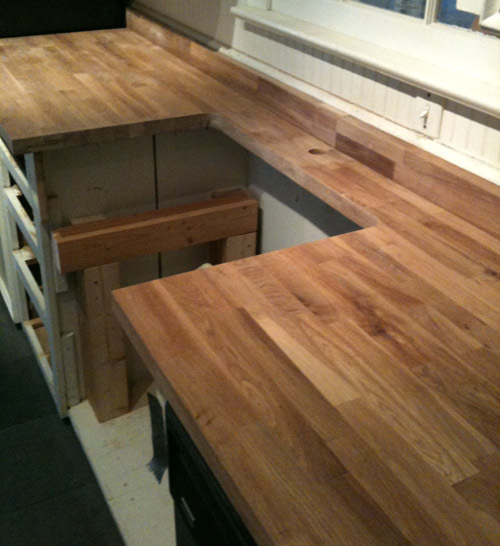 The oak counter was sealed with a food-safe oil. Next, we’ll cut down the cabinet doors to fit the now shorter space below the sink, and this quick project will be complete.